Silver I presume, wt. 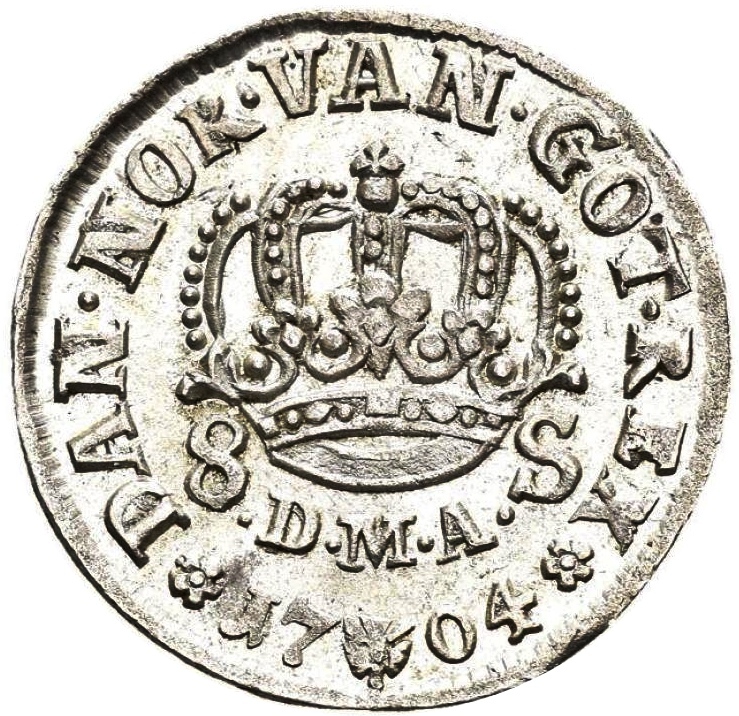 2.54g, the obverse appears to be a late 18th century George III bust or similar, with a trace of DEI GRA in front; the reverse with a central crown, S bottom right, legend ending in REX and possible date 40 or a symbol to the right of a final figure of date. Absolutely dire and fit for the bin, but it's bugging me. Ta. Danish 8 Skilling? Ot possibly not that exact demonimation, but similar .. I wish I knew how to post pictures .. it'd be much easier. Ha! There you go Rob. Thank you. I ran out of patience ploughing through Krause. No wonder I couldn't find it - there's no picture in my edition with either obv or rev. Though it only lists the 24 skilling as having a crowned bust right with the others showing a monogram. They are 3.5x heavier than this piece, so will resume searching later in the 17th century. Well done. It has to be this. My paper Krause doesn't have this listed for whatever reason.